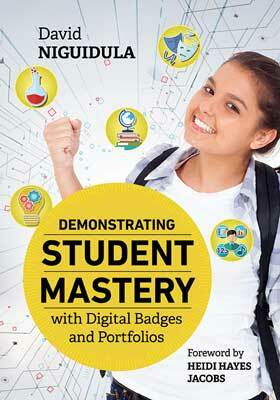 In Demonstrating Student Mastery with Digital Badges and Portfolios, David Niguidula shows how students can meet standards and express their individuality through digital badges and portfolios. Building off an essential question—What do schools want their students to know and be able to do?—he then shows how schools can implement a proficiency-based approach to student learning that has been successfully field-tested in districts across the United States. Develop common rubrics and a common understanding of what work is considered "good enough." Guide students in curating the elements of their portfolios. Promote authentic student reflection on their work. Replete with real-life examples, this book is essential reading for principals who want to take their schools to the next level, and for teachers who want a refreshing and sensible approach to assessment. "We are fortunate to have the practical and inspirational Demonstrating Student Mastery with Digital Badges and Portfolios to guide creative educators on how to launch and sustain efforts to help our learners navigate their futures." David Niguidula is founder of Ideas Consulting, based in Providence, Rhode Island. He is best known for his work on digital portfolios in K–12 schools; in the 1990s, Niguidula led the first research project on the topic while at Brown University’s Coalition of Essential Schools.